Beyoncé has confirmed she will voice Nala in 'The Lion King'. 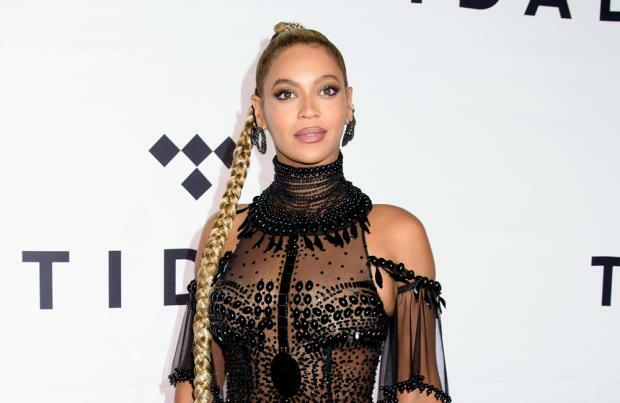 The 'Formation' hitmaker is set to join the cast of the Disney live-action remake alongside Donald Glover - who will voice Simba - and Chiwetel Ejiofor, who will play villain Scar. The news was announced on social media where the full cast for the movie was revealed. Billy Eichner and Seth Rogen are set to play Timon and Pumbaa respectively whilst James Earl Jones will return to voice Mufasa, the same part he voiced in the 1994 movie. Alfre Woodard will play Sarabi, John Oliver will voice Zazu and John Kani will star as wise baboon Rafiki. 'Jungle Book' filmmaker Jon Favreau is at the helm of the project, which is set for a July 2019 release. Favreau is already in pre-production with Jeff Nathanson writing the script. As well as keeping Sir Elton John and Tim Rice's original songs, which include 'Can You Feel The Love Tonight', 'Be Prepared' and 'I Just Can't Wait To Be King', the remake will also feature some new tunes. 'Can You Feel the Love Tonight' played out over the credits of the 1994 movie and went on to win Best Original Song at the 1995 Academy Awards. Favreau feels lucky to be "entrusted" with a movie like 'The Lion King' and he knows there are big expectations to meet. He said: "What I'm trying to do is honour what was there ... There are certain expectations people have. 'The Jungle Book' was 50 years ago; 'Lion King' was 20, and people grew up with it in an age of video where they're watching it over and over again. So, I have to really examine all of those plot points. Also, the myths are very strong in that, so you're hitting something even deeper than the movie sometimes." 'The Lion King' is just one of the live-action movies in the pipeline. 'Dumbo', 'Mulan' and 'The Little Mermaid' are also in the works.